The Colorado Department of Public Health and Environment (CDPHE) is in the process of renewing the Mt. Crested Butte Water and Sanitation District discharge permit that expired in June 2018 and is hearing some active concerns from downstream property owners. Public comment on the draft permit is being taken until Monday, February 11. Homeowners in the Moonridge subdivision have expressed concern about what they see as inadequate dilution of the discharge from the plant for years. Moonridge, which is located in the Crested Butte-Mt. Crested Butte corridor below the treatment plant, has said that what appears to be high concentrates of effluent has gathered in their ditches and has the possibility of impacting their well. They suspect one logical source of the effluent could be the Mt. Crested Butte wastewater treatment plant. They have asked the Colorado Water Quality Control Division to tighten up its standards and allow extended public comment on the permit renewal. Joe Knox has represented the subdivision and he said the Moonridge Homeowners Association would continue to be proactive in protecting the water quality in Washington Gulch and Slate River. Mt. Crested Butte Water and Sanitation District manager Mike Fabbre said the process is normal for a draft discharge permit and anyone can submit comments for the record. He did say the district would be submitting comments as part of the renewal process since the district feels the state has made some incorrect assumptions in the draft. The draft as written updated determination of “low flows” for Woods Creek and Washington Gulch but Fabbre says the assumption that there is zero flow during certain times of the year is not accurate and needs to be corrected. “The data used needs to be fair and accurate for the permit,” noted Fabbre. With this renewal application the state is also including the Slate River in water quality assessment as receiving water to determine protective effluent limits. The state is also planning to require the treatment facility to establish an in-stream monitoring station on the Slate River within a mile or two upstream from the confluence of Washington Gulch and the Slate River to collect ambient temperature data to be used in the next renewal. 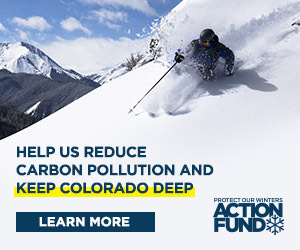 For public comment instructions go to https://www.colorado.gov/pacific/cdphe/cdphe/wq-public-notice-actions.